The report on cruise ship tourism in the south is in. Last October the Belize Tourism Board held public consultations with residents of Placencia, Dangriga and Punta Gorda to discuss the introduction of cruise tourism to Southern Belize. 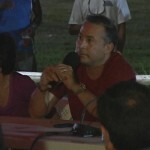 From the get go, the opposition was strong, in particular among the Placencia based businesses and environmental organizations including the Association of Protected Areas Management Organizations (APAMO) to the project proposal submitted jointly by real estate developer Shabir Walji and Royal Caribbean Cruise Line to the Government of Belize. The sixty-two page report on the viability of cruise ship tourism conducted by Seatone Consultants is glaring and emphatically states that “Belize should not approve a new port of call, contract or agreement with cruise lines, developers or their affiliates for operations in the Placencia Peninsula. Not only is there widespread resistance to the establishment of cruise tourism in Placencia, as demonstrated by public sentiment, there is also abundant and compelling evidence that communities in the surrounding area are ill prepared for cruise ship arrivals. Moreover,…the Belize City model, for many, still represents a poor precedent for effective management and control of the cruise sector. Expansion of cruise tourism to fragile areas such as the Placencia Peninsula is therefore highly problematic, risky and may result in irreversible negative impacts to the existing tourism sector, the ridge to reef resources of the south, and the safety and security of local communities.” The report clearly supports the resistance held by Placencia residents, business owners and environmental groups. But there’s surely to be more discussion on the proposed cruise terminal. They will keep shopping until they find someone willing to tell them what they want to hear. Why listen to the residents who are screaming no & the consultant who say it’s a bad idea when the investors are seeing dollar signs. What the tourism sector requires is a comprehensive revision to the existing tourism policy. The last revision was completed in 2004/2005 and given changes in the international economy as well as developments within the tourism sector itself the time may be right for revision. Of course this needs to be conducted within the context of a broader national development plan for the country. Belize still has a window, albeit a very small one, for carving out an effective framework for development. This requires dealing with issues of corruption (which the current administration has clearly failed on); squaring the legal processes and frameworks to allow for effective law enforcement; directing public investment in areas which will positively impact on development of new economic sectors; and investing in the improving the tertiary level education services. Its time we drop this perpetual nonsense of basing development efforts on parochial and special interests of both the red and the blue. This obviously has gotten us only incremental development at best, scores of mis-conceived projects, and much to be desired – any wonder why there is a serious crime situation in the old capital of the jewel. Time for a change, not only in colors but in approach and outlook! Congratulations people of the south but you must not let down your guards as these money hungry folks will keep trying. Remember, My Legacy B 4 My People. Belize Tourism Board: please release Rich Wilson’s Report on proposed cruise ship tourism to Placencia. 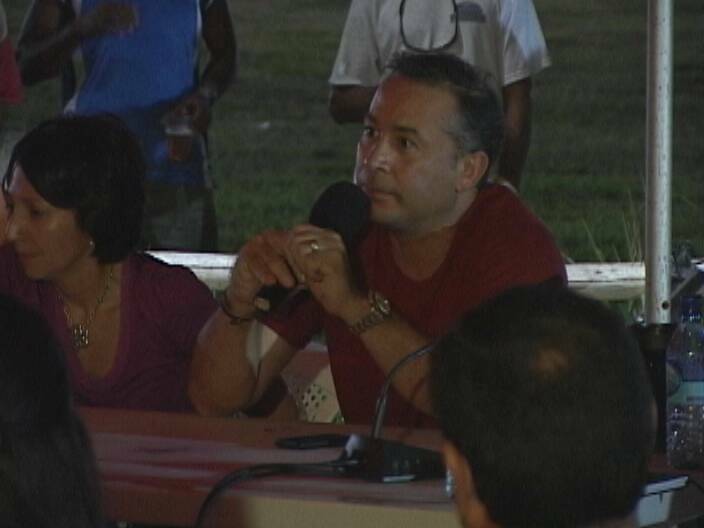 You promised it at your public consultation in Placencia on October 22, 2010. Your marketing director promised it in a phone message to me on February 15, 2011. You promised it was “downloadable” from your website. This report is nowhere on BTB’s website. Numerous emails, phone calls, and postings on BTB’s Facebook page requesting this cruise ship report produce no results. BTB, you are coming to Placencia on March 21, 2011, and you have reneged on every single one of your promises to release this report. You made promises to keep the public informed. FULFILL YOUR PROMISES! AND NOT A DAY OR TWO BEFORE THE MEETING!! DO IT NOW!! The public should never have to beg for information from Government!….NEVA! My wife and I have stayed for a week on the Placencia Peninsula for the last two Christmas holidays. To find ourselves surrounded by “day tripping” tourists would destroy those aspects of the area that we find appealing. “That which is acceptable to many is exceptional to few.” Best wishes on keeping Placencia the exceptional place that it is. JM thanks very much for your input, I personally appreciate it. To MylegacyB4people, thank you too my friend. Not taking away anything from Belize City and I want all my Belizean brothers and sisters to take a minute and understand where I’m coming from. Dangriga has the only two deepest Water Ports throughout the entire country (Think about that for a minute). I have always questioned myself as a Tour Entrepreneur, why GOB through NICH and other Organizations could not have allocated monies towards preparation of the Southern Districts from funds donated to BTB (Minister Of Tourism) for the Tourism Industry. Supposedly Taiwan donated $18M US equivalent to $36M BZ dollars, which if each district was given $5M BZ to pprepare for the Tourism Industry a balance of $5M BZ would still be available to the greedy ! @-s Hereidia. Guess what, this Clown Hereidia and his Puppetts had a meeting at the “Pelican Resort” in Dangriga little over two years ago. To make a long story short, he explained to us how Districts were picked for allocations of these funds from Taiwan, Venezuela, and other countrys. At the end of the day, guess which district was picked?. You got the right answer, haha. We were told that names of each district was written on a piece of paper and put into a hat (Rabbit Foot Theory) and a person was asked to shake the hat and pull out a piece of paper. Well, Wala, San Pedro was picked according to this idiot. For me he was adding insult to injury, knowing damn well that we in the South has always held our own for our livelihood. After all, we are use to the abuse and abandonment from GOBH/GOB without !@#$%^&*. I got up and told them to go to hell and walked out of the meeting. Why come to our Town just to tell us that you have nothing to offer to us?. We didn’t call you begging for anything, then you come thinking you can pull wool over our eyes?. Now they want to dictate to us what we need to do in our own back yard. “NO IS NO MAN, WHE PART A DAT YOU NOH UNDERSTAND, !-SS YOU STUPID. We ok without unu !#-kry, next thing you know CEO wah seh how we like beg and ih noh have no clue weh packing we di tek down ya soh fram unu da Belmopan. Noh tell we bout no Area Rep needa, dem deh eena di same boat. Enough is enough, !#-k unu, again go to hell.